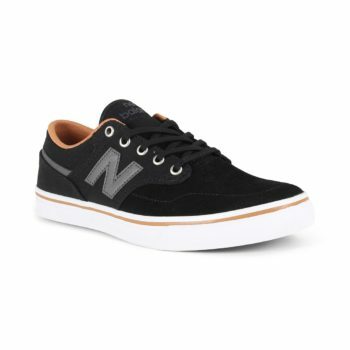 The New Balance All Coasts 331 offers a classic skate style with a one piece toe featuring stitch detailing. 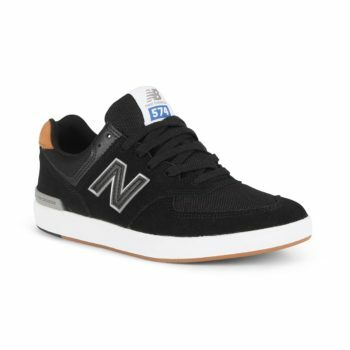 Quarter panels feature the iconic New Balance "N" branding and the "NB" logo printed on the heel tab. Metal eyelets and padding in the collar and tongue for support. Flexible vulcanised sole construction for optimal board feel and superior grip. Fit: these shoes come up small so we advise taking half a size larger than normal. The New Balance All Coasts 574 is built upon a staple part of the New Balance heritage and brand, the 574 is one of their most iconic running silhouettes and has been reimagined by combining that classic look with a modern skate outsole. Features the super comfy REVlite midsole, that provides increased impact protection and general comfort the length of your foot. TPR heel stabiliser for support and better fit. Leather detailing on the heal and quarters. 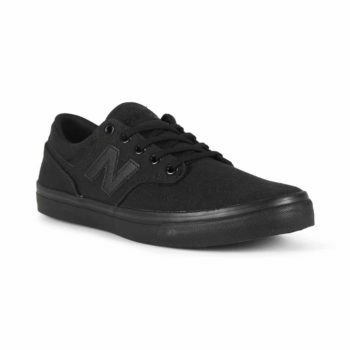 Woven New Balance label on the tongue and leather New Balance 'N' dealing on both lateral and medial sides. Light and comfy mesh tongue for increased breathability.